It is the year 1391 in Seville, Spain. 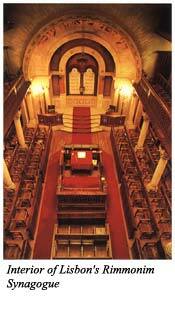 One of its most distinguished Jewish families is theAbarbanels. Its patriarch is Don Samuel Abarbanel, Treasurer of the State, Courtier, and friend to three kings of Spain. An anti-Jewish riot inspired and provoked by the church is occurring in Seville and spreading rapidly throughout Spain. Jews are being beaten and killed by religious fanatics and many others who were just taking advantage of the rioting to rob the Jews. The streets are flowing with Jewish blood; synagogues, homes and businesses are being destroyed; Jewish property is being stolen. The rioters were yelling; "Convert or Die!" The church promised peace and safety to the Jews who convert. Don Samuel Abarbanel, an observant Jew and his family were forced to convert. Don Samuel took the Christian name of Juan Sanchez de Seville and continued to serve King Henry III as his treasurer. He and his family attended church and mass on Sunday, but at great risk they were secret Jews, trying to eat kosher, observe the Sabbath and holidays and pray to Hashem. It was not an easy thing for them to do but they did so for about six years when it became increasingly more difficult. By 1397 Juan Sanchez de Seville and his family were able to escape to Portugal where they threw off their Christian customs and names and resumed their practice of Judaism. Don Samuel Abarbanel's reputation as a brilliant financier and statesman preceded him. King John I (whose Portuguese name was Joao) had his agents approach Don Samuel to ask him to be an advisor to the king. Don Samuel readily agreed, and a long personal friendship and relationship began. The relationship was not only between the king and Don Samuel, it was between their two families, their children, and their grandchildren. Samuel's son Judah followed in his father's footsteps. Don Judah was highly respected by King John I who frequently sought his advice. King John I was called "King John the Great." The title was well justified. During John I's reign Portugal prospered. 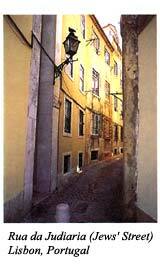 Portugal was entering the age of exploration and acquiring new territories and becoming rich. Don Judah Abarbanel's advice to the king was invaluable in pursuing this course of action. One of King John's sons was Prince Henry the Navigator who ran a school of navigation and encouraged its Navy to explore, discover and settle new territories and to bring greater wealth and prestige to Portugal. When King John I died in 1433, his oldest son, Duarte, succeeded him. Duarte was known as the "Philosopher King" because he was a scholar, writer and visionary. He was not a great king but he encouraged his brother Prince Henry the Navigator to carry on his work. King Duarte had married and had a son Afonso. Upon Duarte's death in 1438 his young son Afonso V who was only six years of age succeeded him. Young Afonso could only rule through an adult "regent," who was Don Pedro, Duarte's brother. Uncle Don Pedro was a "monarchist." This meant that he believed the king's actions should be supreme and not be subject to criticism or modification by noblemen, church, or military. As the regent for young Afonso V, Don Pedro did everything he could to carry out his philosophy. In order to accomplish these goals, he needed the support of the commoners. In order to get the support of the common man in the kingdom he had to forsake the support of the Jews in the kingdom. To make it clear to the common man on the street that he did not support the Jewish successes in the kingdom he caused young Afonso V to pass many anti-Jewish laws. These laws prevented Jews from doing certain kinds of work, determined where they would live and how they were to dress. Fortunately these laws were rarely carried out. King John I had one more son that was rarely spoken of. He was a half brother to King Duarte, Don Pedro and Henry the Navigator. He was also Afonso V's uncle. He was the illegitimately born Afonso, Count of Barcelos. This Uncle Afonso was a "feudalist," a person who supported the king and the monarchy, but believed the noblemen, the church and the military should play an important role along with the king in ruling a kingdom. This view was completely the opposite of his half brother Don Pedro. This caused many conflicts and arguments between them. To bring peace and to placate Afonso, Count of Barcelos, Don Pedro, the regent of the king, had him declared "Duke of Braganza" and turned over to him a very large territory in northern Portugal called Braganza. This made Afonso, the "First" Duke of Braganza. Eventually the Braganza Family were to become the rulers of Portugal starting with King John IV of Braganza in 1640 up to 1910 and the rule of Manuel II, which ended with the establishment of Portugal as a republic. The new Duke of Braganza also befriended the Abarbanel family and became intimate friends of Don Judah Abarbanel. Their families socialized together and their children became life long friends as Judah's son Isaac played with the Duke's son Fernando. These children became life long friends as well. When Afonso V became 14 years of age he was deemed old enough to rule in his own name. He no longer required Don Pedro as a regent. Eventually he married Don Pedro's daughter. The conflict between Don Pedro the "monarchist" and his half brother, the new Duke of Braganza, the "feudalist" grew more serious. It eventually led to a civil war. The Duke of Braganza was able to win over Afonso V to his views and Don Pedro was declared a traitor. Don Pedro died in the civil war. This occurred in 1449. 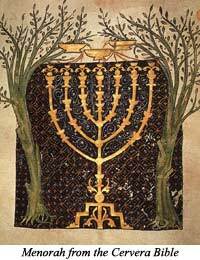 The next 32 years until 1481 were extraordinary for the Jews of Portugal. It was a miniature "golden age." King Afonso V turned to his uncle the First Duke of Braganza for advice. The Duke of Braganza turned to the Jew Don Judah Abarbanel. The anti-Jewish laws were ignored. Jews live where they wished; dressed as they desired; and worked in endeavors in which they excelled. 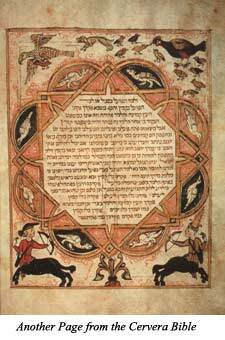 The Jewish business skills made them wealthy and at the same time it made Portugal prosperous. Portugal had over one hundred thousand Jews in a general population of a little more than a million. Jews lived in autonomous communities all over Portugal. 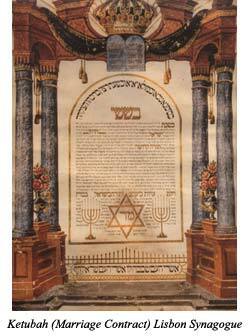 They had their own Synagogues, schools, welfare systems, courts, and governing bodies. They collected their own taxes and turned over a fair share to the kingdom. The success of the Jews brought envy and resentment. Many churches preached that the Jews were "Christ killers"; that they were "stiff-necked" and would not convert to the true religion; and that they were evil because their wealth came from the poor. This led to violence. Fortunately King Afonso V and the Branganzas were their defenders. In one incident in 1449 in Lisbon, a rioting mob, looking to rob and murder Jews, attacked thethree Jewish communities of Lisbon called "Judiaris." These communities were fortified and well defended and they were able to fight off the first attacks. The rioters regrouped and were getting ready for a stronger assault. King Afonso V who was in Evora, some 70 miles away, was informed of the rioting and immediately left for Lisbon to stop the rioting. The king took very stern measures against the rioters and inflicted severe punishment against offenders. The king made it very clear he was determined to defend the Jews of Portugal with all the force at his disposal. The first Duke of Braganza died in 1461. Don Judah Abarbanel was getting older and he was training his eldest son Isaac to succeed him. Isaac was 24 years of age. The first Duke was succeeded by his son Fernando I, the second Duke of Braganza and a close friend and confidant of the Abarbanel family. 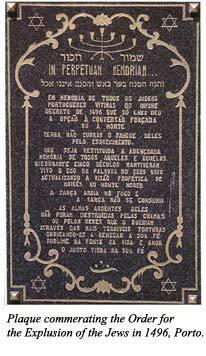 Other Jews were becoming prominent in Portugal. They included the Yahya brothers. 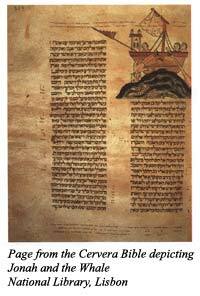 Gedaliah Yahya was Afonso V's physician. Joseph Yahya was one of the king's counselors. Isaac Abarbanel was probably the favorite Jewish associate of King Afonso V. The king was a intellectual, a patron of letters, a collector of books, a man of learning and of keen intellect. Isaac Abarbanel was such a man as well. The king had great admiration and affection for Don Isaac Abarbanel. The second Duke of Braganza, Fernando I died in 1478, succeeded by his eldest son FernandoII. Don Isaac Abarbanel was now 41 years of age and developed a most intimate relationship with the third Duke of Branganza, Fernando II. Fernando II would not make an important decision without first consulting his friend and confidant Don Isaac Abarbanel. From this time until the death of King Afonso V, Don Isaac Abarbanel reached his highest state of prestige and power in Portugal. These were years of great conflict between Portugal and its neighbor Spain. Abarbanel's advice was constantly sought, and his advice eventually helped bring about peace between Spain and Portugal. These were happy years for the Abarbanels. These were wealthy years as well. The reader can get a good idea of the extent of Don Isaac's wealth by the extent of his loans to the Crown. In 1480 a group of Christians and Jews lent the Crown 12 million "reals." Abarbanel's share was more than ten percent, a vast sum of money. Isaac's family was growing as well. He and his wife had three sons: Judah, Joseph and Samuel. These were the happiest years in Isaac Abarbanel's life, but they were short lived. On August 18, 1481, Afonso V, the protector of the Jews and Abarbanel's benefactor, died unexpectedly at age forty-nine, a victim of the plague. 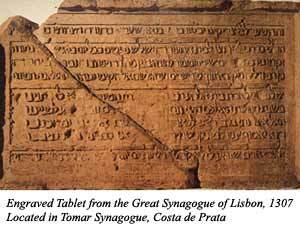 This changed Isaac's life and the lives of the Jewish people of Portugal. The king's successor was his son King John II, (in Portuguese: Joao II). He was a "monarchist" who sought supreme power without sharing it with his noblemen such as the Braganzas. King John II resented noblemen such as the Braganzas. He always felt his father was too generous to such families. His favorite comment was "All my father left me were the highways of Portugal." He said this because his father King Afonso V gave away great tracts of land to his favorites and that included the Braganzas and the Abarbanels. He took steps to get back much of the land given to the noblemen by King Afonso V. The third Duke of Braganza, Fernando II protested these actions, and he was severely put down by the new king. The Duke's brother was placed in exile. Everything came to a head when King John II discovered some secret correspondence between the Duke of Braganza and King Ferdinand of Spain. He began to suspect a conspiracy. On May 30, 1483, a royal messenger came to the home of Isaac Abarbanel and summoned himto appear before the king. Isaac had no idea why he was being summoned and he dutifully took steps to comply with the summons. As he proceeded he heard that the king had arrested the Duke of Braganza. Isaac was warned that he too was about to be arrested and was urged to flee the country. Abarbanel wanted to rush to the king and prove his innocence but on reflection realized he would not be believed. He crossed into Spain where he sought sanctuary. He decided to write to the king explaining his innocence, but his letter was ignored. Don Isaac Abarbanel was persona non grata in Portugal. Eventually Isaac was able to get his family to Spain. He was intent on not being political in Spain,but the Braganzas had already told King Ferdinand and Queen Isabella about Isaac's skills. He was thus drafted into their service. He helped them raise money in the war against the Moors in Granada and helped arrange some of the financing for Christopher Columbus's voyage of discovery. Both efforts were a success. The Moors were pushed out of Granada and Columbus discovered America. It was 1492 and Ferdinand and Isabella decided the Jews were no longer welcome in Spain and they were expelled. Isaac did everything in his power to persuade them to change their mind even offering them a sizable bribe, but nothing would help. The Jews had to leave Spain and that included the Abarbanels. Isaac was persona non grata in Portugal and so he could not go there. He and his family went to Naples, Italy instead. King John II did not extend his anger against the Abarbanels to the other Jews of Spain. He invited the expelled Jews to come to Portugal, over 150,000 of them. Portugal with a population at that time of a million and a half now had more than 300,000 Jews. Lots of pressure was put on the king to either convert the Jews or expel them. By the time he died in 1495 he began to treat the Jews brutally, even enslaving some of them and sending Jewish children to the Island of Sao Tome in West Africa where most died or were never heard from again. Fortunately for the Jews he died and was succeeded by his cousin and brother in law, Manuel I. King Manuel was a friend of the Jews and encouraged their resettlement in Portugal. He wanted an entrepreneurial class who could take advantage of the worldwide discoveries being made by Portugal. He even invited the Braganzas to return which eventually led to their rule of Portugal. Unfortunately the Jewish bliss was not to last too long. Manuel I decided to marry the daughter of Ferdinand and Isabella of Spain, and a condition of the marriage was the conversion or the expulsion of the Jews. He ordered the expulsion of the Jews in December 1496 requiring them to either convert or leave by December 1497. Abarbanel Associates 13, LLC. © 2019.